Pamplin Media Group - PORvSEA: What were they thinking? 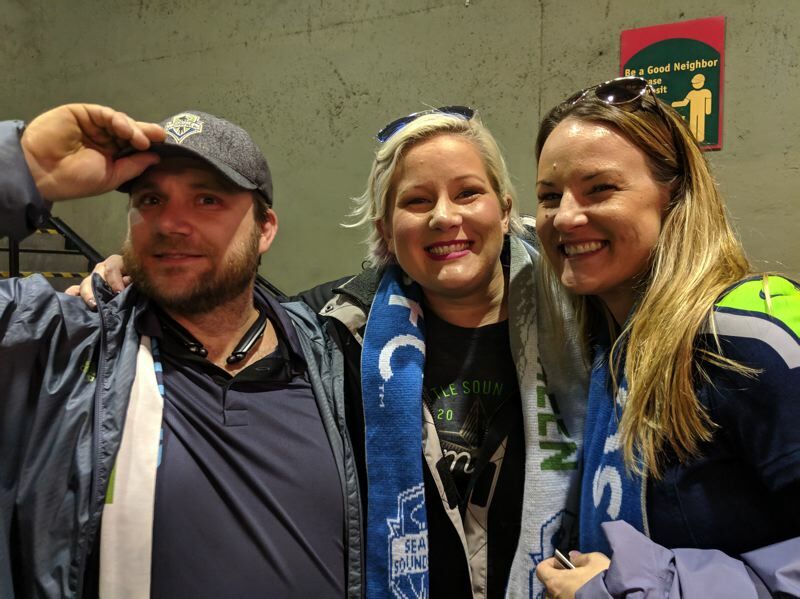 PORvSEA: What were they thinking? 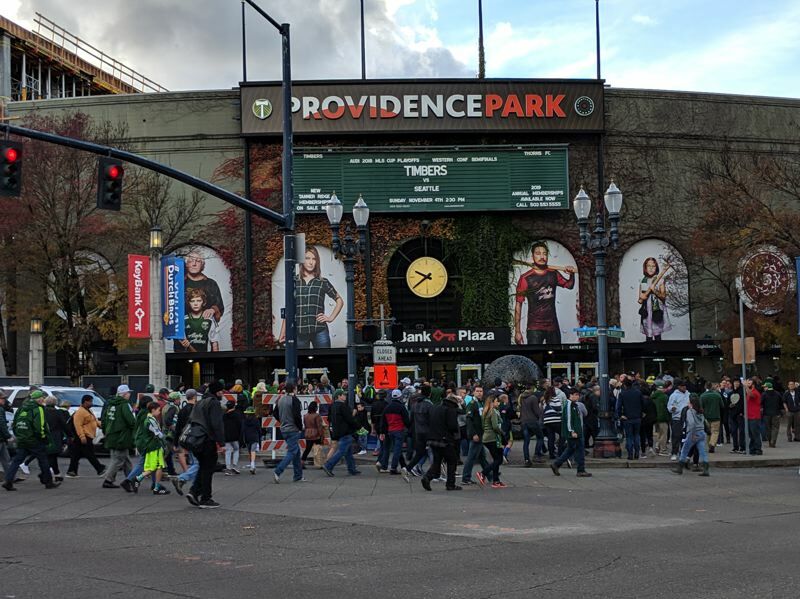 Timbers and Sounders fans talk through their teams' strengths as they battle in the conference semis at Providence Park. 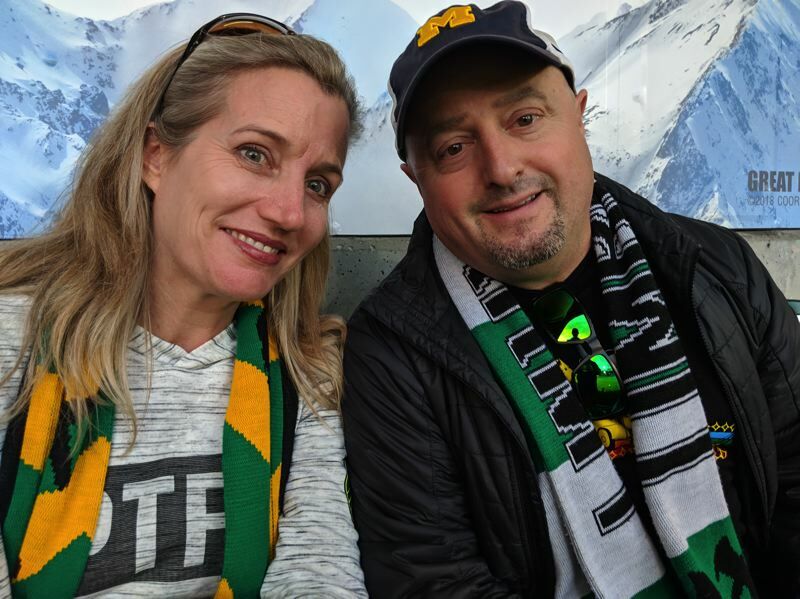 As the Portland Timbers took on their old rivals in the first leg of the Western Conference Championship semi-finals at Providence Park, we talked to some fans about how the game might play out. Seattle had won five in a row and 14 of their last 16 games, as well as finishing second in the division, compared to Portland's fifth place spot. 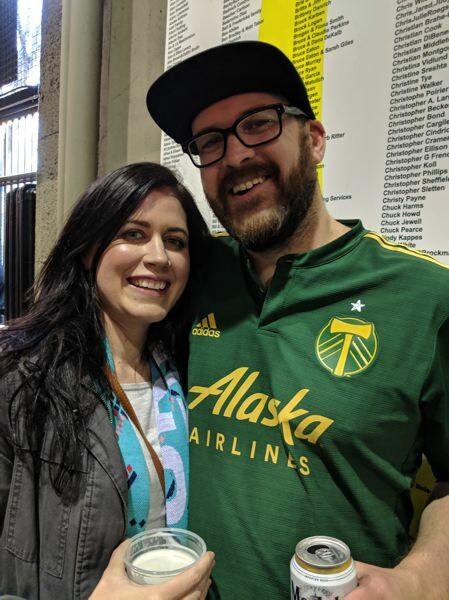 The Timbers had scored 54 goals over the season compared to Seattle's 52. 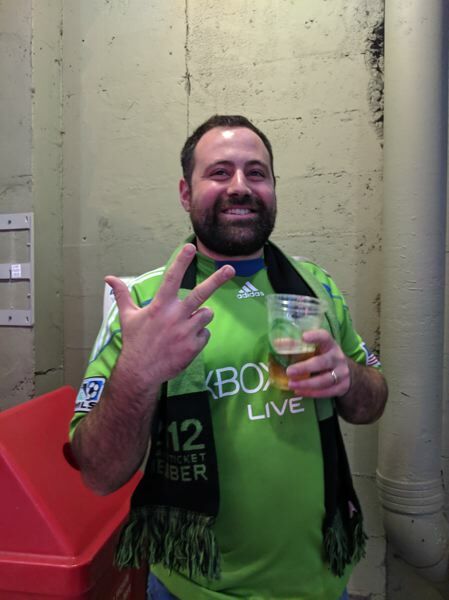 Before the game Seattle Sounders fan Santiago Laparte was cautiously optimistic. "I think it'll be a tough match, Portland's the home team and they're a great team, hopefully we get the draw or a 2-1 win. I think it's important to score an away goal. Hopefully the team goes out there and just gives it their best. I think Raul Ruidiaz, if he scores the early goal, it'll give us the momentum, and then we'll hold the midfield area for the Sounders. If we get the goal early (the coach) will go defensive. But we will come out attacking." 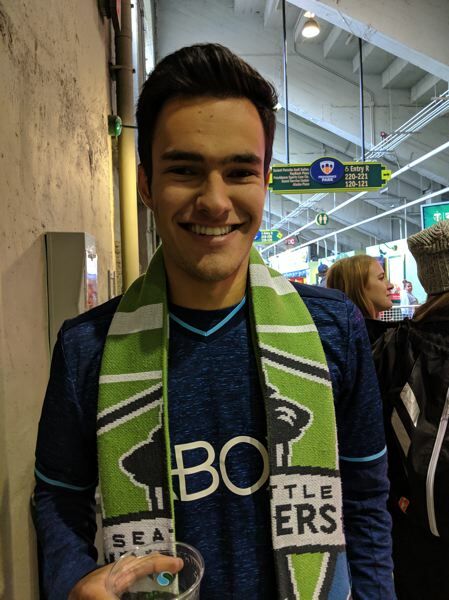 Another Sounders fan John Criscione from Seattle, said "I think no one's stopping Ruidiaz right now, no one has the answer for him, him and Lodero are actually on fire, and I think Ruidiaz hattrick. I know we had the MLS record for a win streak. I think the coach is going to put in Bruin and we'll sneak an away goal. Portland needs to be winning this by the first half or it's going to be a long day for them. I think we're always coming to win. I've been going since the USL and Starfire, we've always been dangerous away. But not against Portland. You guys have a fortress here. But it's fun watching you not have one too." 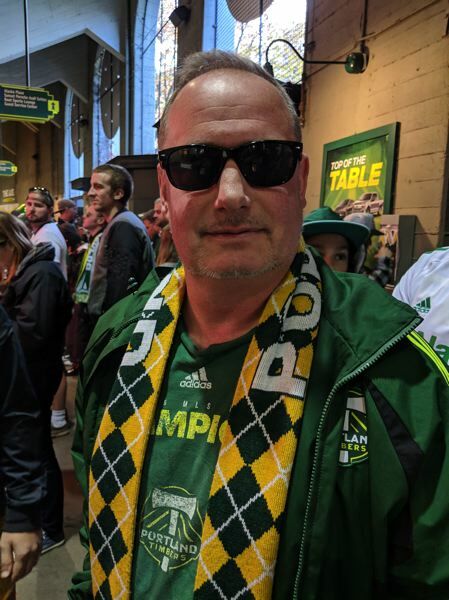 Portland Timbers fan Cameron Vogt was feeling it before the game. 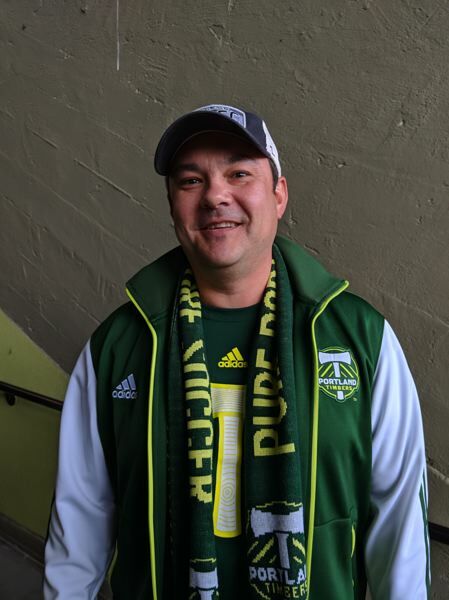 "I think the Timbers are going to go 3-1 today, it's going to be a great game. But I think the Timbers got their number, they have historically won in Portland every time, except the last time! Diego Valeri's playing well right now, Blanco's on fire, and our defensive core is right there." The game had an explosive start, with the Sounders taking a 1-0 lead in the tenth minute when Raul Ruidiaz flicked a cross from Cristian Roldan into the roof of the net. Portland didn't let their heads drop, however. In the 17th minute Diego Valeri played a precise ball through for Timbers forward Jeremy Ebobisse who chipped flailing Seattle goalkeeper Stefan Frei and left Frei on his back. 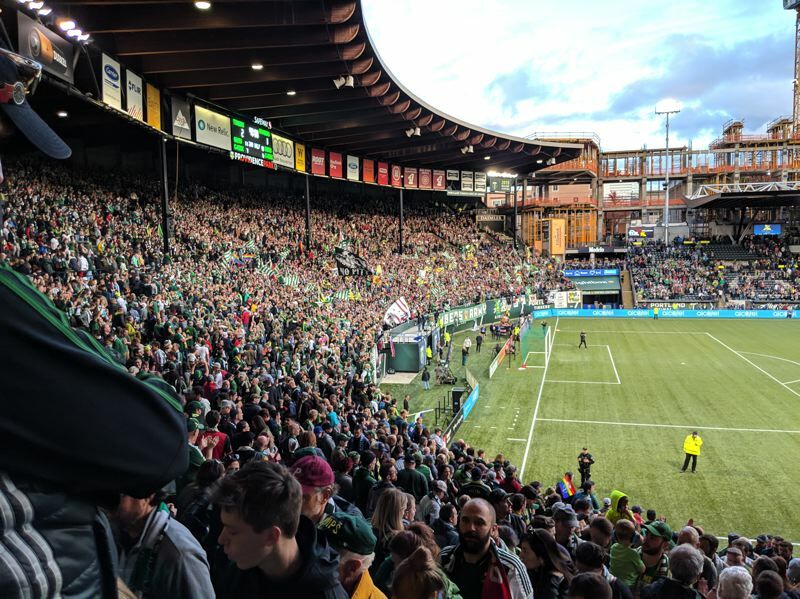 Then in the 29th minute the Timbers made it 2-1 when midfielder Sebastian Blanco surged through the box and placed a low shot into the far corner just beyond Frei's reach. The thrilling half had seven extra minutes because of injuries, and ended with both teams getting a standing ovation. 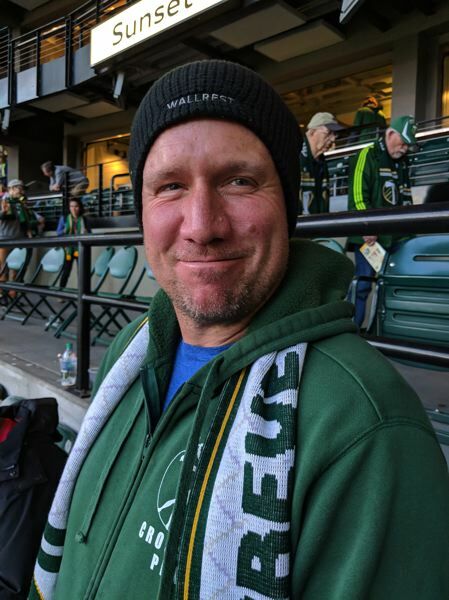 At half time Timbers fan Chris Marko was philosophical. "It's always a tough match with Seattle, but I think Timbers are going to close it out. I think we'll continue pressing. We're not going to lapse back as we do in Timbers style, with more aggressive attacking as with our new coach." Ellsworth added, "For a rival city I think we are doing well. The ferocity of the game is great. Seattle started strong and I wasn't surprised, they're a rival team and they always do. But we countered in a great way." Grawrock concluded, "It wasn't until last week in Dallas that we showed we could really grind out a win: 30 minutes to go and a man down, we really ground out that win. We're showing that again today. I wish we hadn't given up an away goal. If the scoreline stays the same, going to Seattle is still tough for us." He wasn't sure if he could go Thursday. "We have to deal with Seattle leasing a stadium, and the car show takes precedence," he said of the Seattle International Auto Show Which runs Friday through Monday at the Century Link Field Event Center. Sounders fan Chris Wong admitted "It could be going better. It seems possession is on Portland's side, but I think we're still in it. I'd be OK with a tie. I would like to see more shots on goal." German Sand was there with Mariah Sand and Shanelle Hannigan, and they are season ticket holders. "We started really good, but we lost control, and we lost two key players (Cristian Roldan and Chad Marshall) which is going to be tough," said German. "The shots were five to six, and we had five shots in the first 25 minutes," said Mariah. "We need to get the ball back and start playing like a team," said her husband German. "Hopefully we can score one more goal and keep control. The coach likes to control the team and hopefully he's going to make a good move and organize the team." The second half was scoreless. In the 79th minute Portland thought they had a third when Lucas Melano netted but Jorge Villafana was offside. All the same, Timbers fans and players left the field all smiles. In the event of the aggregate scores being even over two legs, the team with more away goals goes through. Seattle's valuable away goal means Portland go out if they lose 1-0 in Seattle. Jeff Fletcher a Timbers fan, was there with his son, was satisfied with the entertainment and the result. "Great game, (especially) the attacking in the first half. (Diego) Chara's the best player on our team. He wins everything, always in the right spot, I've enjoy watching him from the day he moved here. He covers so much ground and does everything for the team. Their left mid (Waylon) Francis was good, he got in there behind but there was no one there to finish it. Thursday we still need a goal to win there. I'll be there - I'm self-employed. It was a good, good performance, good defense and entertaining to watch." Also waiting out the rush of fans to the exits were Bob Garcia and Ann Garcia. "I thought we started a little bit soft but finished strong," said Bob. "The team seemed to come together and deliver the result we needed. They showed a lot of grit and hanging in there. It was disappointing to see Seattle trying to eat a lot of clock in the first half and kill some momentum, but we're looking forward to Thursday. 3-1 would have been better. Another goal in Seattle would be great. We did beat them twice this season." 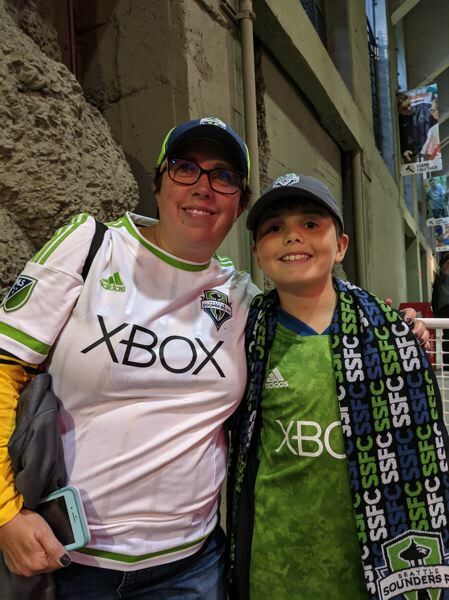 In the Sounders enclosure, where fans were protesting at being penned in for 20 minutes, Kristin Koliha and her son Nathan Kohlia waited patiently. "I would have liked to see a Sounders win," said Kristin. "I think Lodeiro did not play as well as he should have. We just seemed off, a bit off." Her son Nathan summed it up: "Flat." His mom added, "But we did get and away goal, and we've got the energy of the fans. I want to see a win. I don't want to see it go to PKs. Although we have (goalkeeper) Stefan Frei." Timbers goal scorer and in-form forward Jeremy Ebobisse had the last word on Twitter Sunday evening: "It's nowhere near finished, and everyone knows that."